Sony has called it ‘the best of the best' when it comes to technology, and Israel scores well on almost every measure of business and technology. But how rosy is the Israeli tech sector? This year's Global Information Technology Report puts Israel in 20th place worldwide- saying the country "epitomizes the success of an economy that-despite not counting on vast endowments of natural resources-has succeed in securing a high level of development thanks to ICT and innovation. The country has managed to create very favorable market conditions for entrepreneurship and innovation, which has acted as a catalyst for the high ICT uptake and readiness of the business community." That innovative market has helped the country achieve a top 20 spot in this year's Global Innovation Index. The report said the country had achieved the highest placement of all the Middle East countries, and "succeeded in creating well-linked innovation ecosystems where investments in human capital thrive in fertile and stable innovation infrastructures to create impressive levels of innovation outputs." It also came second in in the first Global Cleantech Innovation Index, published by Cleantech Group and WWF. As green tech becomes a bigger issue, Israel may be well placed to become a trend-setter in sustainable IT. Last year there was plenty of talk about Tel Aviv. It was being named as one of the start-up and tech capitals of the world. The country reinvests about 4-5% of its output in civilian research, making it one of the best in the world for R&D as a percentage of GDP, and tech interns are flocking there for experience. Despite the good news, 2012 has been a slow year. Venture-capital funds invested 11% less in Israeli high-tech firms during the first half of 2012 than in the first half of 2011 and experts were worrying about the ‘drying font of Israeli high-tech'. However the Israeli economy was boosted by news that it grew 3% in the second quarter of this year, with the high-tech sector's output increased by 11.5% in annual terms, after expanding just 1.1% in the first quarter of the year. With difficult economic situations all across the world, the investment in start-ups will start flowing freely again, it's just a matter of time. As a whole, the electronics industry is estimated to be worth US$3.5bn this year, rising to $4.5bn by 2016 thanks to interest in 3G phones, LCD TVs, notebooks and PCs. BMI states that last year computer hardware made up around 74% of electronics spending, thanks to government and military purchases. Today's average Israeli family spends around $1000 a year on computers and other devices, almost double from 2007's figure. Notebooks and PCs were main growth areas, 75% of people have either a PC or some kind of laptop. Yet tablet penetration is estimated to be around 0.2%, of which the majority are iPads. Total mobile subscriber penetration stands at around 135%, with Google estimating around 35% of those are smartphones, last year was the first time smartphones outsold regular phones in the country. IDC says Samsung enjoys 34% of the smartphone market, compared to the iPhone's 32%, but overall Android commands a 51% share of the market. Other companies such as Windows, RIM and Nokia are present, but hold a negligible share of the market. 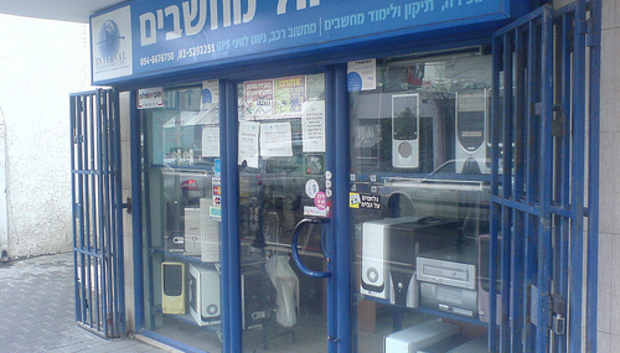 Not only are Israelis buying large amounts of technology, they're also engaging with it. According to Velti, Israel spends an average of 80 minutes a day on apps, the most of any country in the world, more than double the US, Australia and Canada. And although the sheer number of users is quite low (3.7 million on Facebook), in relative terms over 50% of the population (and 70%+ of the online population) is active on social networks. One of the reasons for such investment in hi tech gizmos is the quality of the infrastructure. Israel is one of the most connected countries in the world- it has the highest internet penetration rate for the whole of the EMEA region, currently around 95.5%, and expected to rise to 98.7% by 2016. Bar Switzerland, it also has the highest high-speed internet penetration. According to Budde, Israel is almost alone amongst the Middle East in fostering healthy competition across all its market sectors. "Unlike other Middle East markets the government no longer holds any significant stake in the incumbent and hence is able to focus on encouraging competition." Something the government does have a stake in however is cyber-crime. Israel suffers over 1,000 cyber-attacks every minute, yet is seen as a world leader in cyber-war defense. The report's release at the start of the year coincided with a spike in cyber-attacks in the country, much of which seems to stem from retaliation for strikes on the websites of two Arab stock exchanges for which Israeli hackers claimed responsibility.The recent Madi malware has also been primarily based in Israel, with over 60% of the targets based in the country. But the government hasn't been standing idly by. After agreeing the formation of a cyber-crime unit last year, a government minister promised that Israel will respond to cyber-attacks the same way it responds to violent terrorist acts. Israel is one of the world's top countries for IT, especially start-ups and electronics. The recent slump should pass as other economies pick up, but a more pressing problem is getting to grips with the increasing levels of cyber-crime, which has mushroomed in the last year. While this is a growing problem worldwide, the country's shaky political relationships with its neighbors mean the issue could escalate quickly if not fully addressed.